The only whole food cookbook for people with diabetes - featuring 150 recipes. Eating with diabetes means eating healthy. But many cookbooks for people with diabetes substitute artificial sweeteners and processed foods at the expense of great flavor. Now if you want to make healthier choices, you don't have to give up good food! 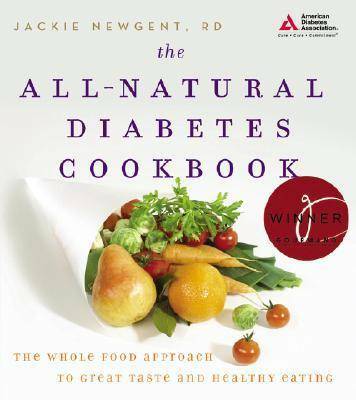 The All-Natural Diabetes Cookbook features 150 recipes that focus on whole foods and unprocessed ingredients. You can enjoy: Blanco Huevos Rancheros, Creole-Style Red Beans and Rice, Roasted Wild Salmon Fillet with Orange-Miso Sauce, Horseradish Pork Tenderloin on Naan with Arugula, and much,much more! YOu can do away with artificial ingredients that leave you feeling unfulfilled! Forget those "fat-free" products that are really just flavorless! Healthy eating is not only good, it's also great tasting!